Earlier this week the index had broken through the 100,000-point mark for the first time in history. RIO DE JANEIRO, BRAZIL – The arrest of former President Michel Temer and the tepid reactions by Brazil’s Congress to the bill that reforms the social security benefits for the Armed Forces led São Paulo’s Bovespa Index to fall to the lowest level in two weeks and the U.S. currency to halt its downward trend on Thursday. Ibovespa, the main index of the São Paulo Stock Exchange, fell yesterday, photo internet recreation. The US dollar closed on at R$3.80/US$, up by 0.9 percent. This was the first time this week the Brazilian real registered a depreciation. 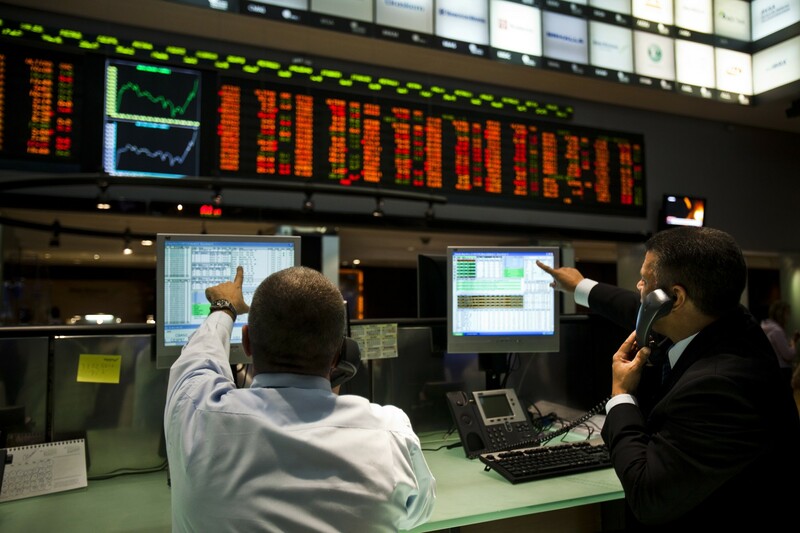 São Paulo’s Ibovespa’s B3 index, closed the day at 96,729 points, down by 1.34 percent. “The arrest of a former president is not new in the country. This (arrest) ends up generating an intense bad mood for business. In my opinion, it was a diversion of focus,” Raphael Figueredo, partner at Eleven Financial Research told daily Correio Brasiliense. But Figueredo says that the arrest was not the only issue putting investors in a bad mood. “We already had, at the beginning of the session, the repercussion around the Social Security (reform) text, which encompasses the military. This news was not worse, because the foreign investor is still out of the country. This type of situation, from an outside (foreign) point-of-view, has a very strong impact,” he added. This was the third session the B3 indicator registered a decline. On Monday (March 18th) the index broke through the 100,000-point mark for the first time in history, only to retreat at the closing bell. For the month of March the B3 appreciation has been so far of 1.2 percent. For the year, the appreciation for the index has reached 10.06 percent. with investors waiting for a clearer picture in the political scene after imprisonment of former President Michel Temer and uncertainties about the social security reform.